Colorado government buildings tend to be located in older, historical buildings with outdated or damaged windows. 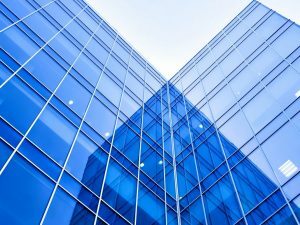 Window film presents many opportunities for government buildings to improve comfort, productivity, and energy efficiency. Whether you’re looking for exterior resurfacing services for your Fort Collins government building or to improve employee productivity in your Captial Hill government property, we’ve got you covered. Government buildings can always be targeted for domestic and terrorist attacks, making it vital to invest in security film. Bomb blast and ballistic-resistant films promote comprehensive protection from high impact events like explosions, gunfire, natural disasters, freak accidents, and more. 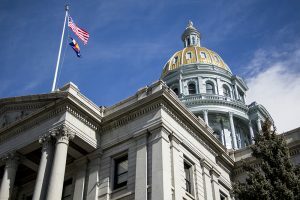 Protect your Colorado government building employees and valuables. Learn more about bomb blast window film. UV rays can cause irreversible sun damage to your expensive government building furniture and flooring. Safeguard expensive items from repair and replacement costs while improving health standards for your employees and building guests. Older government buildings tend to have outdated windows– window film presents a budget-friendly option that’s quicker and less expensive than window replacement. Energy efficient window film can drastically improve energy savings while improving workspace comfort for government employees. Glare reduction window film stops sever squinting and headaches stemmed from excessive glare. Many properties don’t have proper shade coverage and, based on location, can feature an abundance of glare. 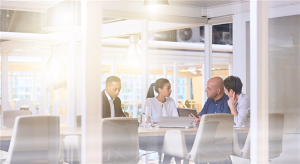 Optimize employee productivity with glare reduction window film. Daylight redirecting film can improve morale within your Colorado government building by boosting employee productivity, decreasing absentee rates, and lowering lighting costs. This revolutionary film can really brighten up any existing space. Learn more about 3M window film solutions. 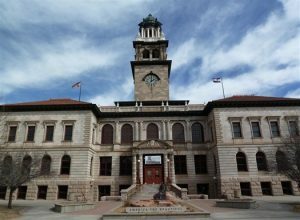 Exterior resurfacing is a specialty service perfect for historic Colorado government buildings. Outdated and damaged windows are concealed and optimized with window film. This service can improve functionality, energy efficiency, aesthetics, and property value. For more information on window film applications for your Colorado government building, contact us today!